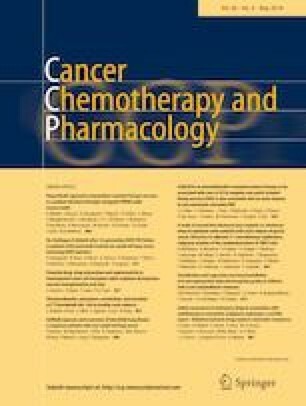 The efficacy of cisplatin-based chemotherapy remains an open question for chemo-resistance in non-small cell lung cancer (NSCLC). This study aimed to explore the role and mechanism of long noncoding RNA plasmacytoma variant translocation 1 (PVT1) in cisplatin sensitivity of NSCLC. Paired tumor and adjacent tissues were collected from forty patients with NSCLC. The clinical value of PVT1 was investigated according to clinicopathological parameters of patients. Cisplatin-sensitive or -resistant cells (A549 or A549/DDP) were used for in vitro experiments. Cell viability, apoptosis, autophagy and animal experiments were conducted to investigate cisplatin sensitivity. The expressions of PVT1, microRNA-216b (miR-216b) and apoptosis- or autophagy-related proteins were measured by quantitative reverse transcription polymerase chain reaction (qRT-PCR) or western blot assay, respectively. Luciferase reporter assay and RNA immunoprecipitation (RIP) assay were conducted to probe the interaction between miR-216b and PVT1 or Beclin-1. PVT1 was highly expressed and associated with poor prognosis of NSCLC patients (*P < 0.05). PVT1 knockdown enhanced cisplatin-induced viability inhibition and apoptosis induction in A549/DDP cells, but addition of PVT1 caused an opposite effect in A549 cells (*P < 0.05, #P < 0.05). Moreover, accumulation of PVT1 facilitated autophagy of NSCLC cells and tumor growth in vivo (*P < 0.05, #P < 0.05). In addition, miR-216b interacted with PVT1 or Beclin-1. Beclin-1 reversed miR-216b-mediated effect on autophagy and apoptosis of NSCLC cells (*P < 0.05,#P < 0.05). Besides, Beclin-1 protein expression was regulated by PVT1 and miR-216b (*P < 0.05, #P < 0.05). PVT1 may function as a competing endogenous RNA for miR-216b to inhibit cisplatin sensitivity of NSCLC through regulating apoptosis and autophagy via miR-216b/Beclin-1 pathway, providing a novel target for improving chemo-therapy efficacy of NSCLC. LC designed and performed the experiments, wrote the manuscript. XH and ZH contributed to experimental work and data analysis. LC and LC conducted the experiments and revised the manuscript. All authors have read and approved the final manuscript. Author Liangfeng Chen declares that he has no conflict of interest. Author Xiaobing Han declares that she has no conflict of interest. Author Zhongzhou Hu declares that he has no conflict of interest. Author Liangxin Chen declares that he has no conflict of interest. All procedures performed in studies involving human participants were in accordance with the ethical standards of the institutional and/or national research committee and with the 1964 Helsinki declaration and its later amendments or comparable ethical standards. All animal experiments were performed in accordance with the Guidelines for Care and Use of Laboratory Animal.